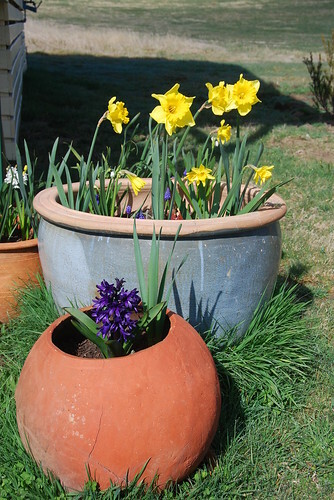 Potted Spring, a photo by bhojman on Flickr. Spring is here… wonderful! Here’s some of my spring flowers. What a wonderful reminder of God’s great creative genius! I look at the daffodils in awe as they turn their faces to the sun… a reminder for me to turn my face to the Son, Jesus Christ. Christianity Today has produced a roundup of their reporting on John Stott over the years. There’s a lot of material. You might find it encouraging. Here is one Christian (and a very humble Christian, at that) who has had a tremendous impact on the lives of so many through his long life. read more: John Stott | Christianity Today | A Magazine of Evangelical Conviction. via John Stott Has Died | Christianity Today | A Magazine of Evangelical Conviction. John Stott had a great impact on my early Christian life. I purchased many of his books and found them both challenging and encouraging in my life with Jesus. I had not realised he was still alive till the other day and now I find that he’s gone home to Jesus. I’m glad for him. 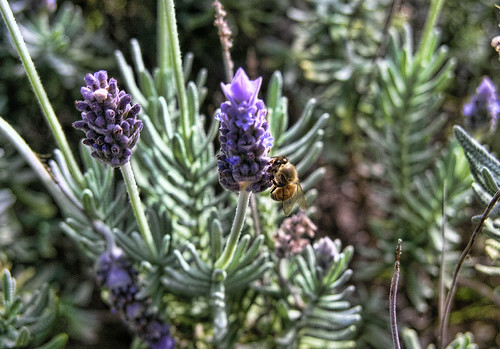 Bee on Lavender, a photo by bhojman on Flickr. I like lavender very much, it has such a fresh clean smell. My mother had a good lot growing in her garden and I tried many times to get a nice photo of the lavender in bloom. One day I actually was able to capture a nice photo and a bee at work. It was lovely! Here I’ve used a Topaz HDR filter on the photo to enhance the colour. God has created such wonders in the garden. Encouragers don’t look for honours, but the results of their work are unmistakable. What oxygen does for the body, encouragement does for the soul. It inspires us to persevere when it would be easier to just quit. Are you an oxygenator of the soul? Determine today to find ways to encourage others, you’ll be amazed at how encouraging it will be to yourself. God uses tough times like a refining process to bring out the best in us. He controls the heat, because His goal isn’t to destroy us but to develop us. Gold only becomes valuable when the impurities have been removed in the fire!